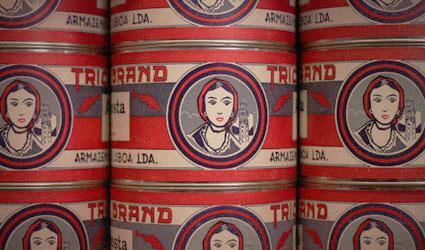 TRICANA is a registered brand of Conserveira de Lisboa since 1942. TRICANA offers a range of big fishes, with a full maturation and it's known by its one piece filets putted by hand inside each can. All this characteristics make this brand a choice of Conserveira de Lisboa because it guaranties that our clients will always have the best quality in every products. Please contact us to know about the availability of our products. Portuguese Sardines in Marinade "Crosspack"
Small Portuguese Sardines in Tomato Sauce "Crosspack"